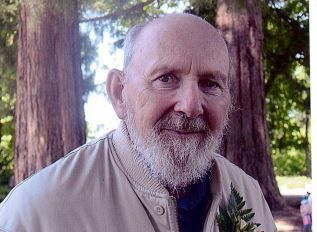 Elmer was born in Silverton and raised in Pistol River, Oregon. He was an electrician by trade, apprenticing in Santa Barbara, California. He received his 60 year membership certificate and pin from the local IBEW upon his death. He also volunteered many hours for Habitat for Humanity, The Lords Storehouses, and Teen Challenge. He loved to fish and hunt all his life, passing those experiences and skills on along the way. He is survived by first wife, Suzanne; second wife, Fern; children, grandchildren, great-grandchildren, nieces, nephews, and a large number of other family members and friends. He was preceded in death by his brother, sister, brothers-in-law, grandsons, and many other family and friends. Parkinson’s with Lewey Body symptoms ultimately led to his death after a long battle. A potluck style celebration of life will be held at 11 a.m. on Saturday, May 25, at the Lebanon First Assembly of God, 726 W. Oak St.